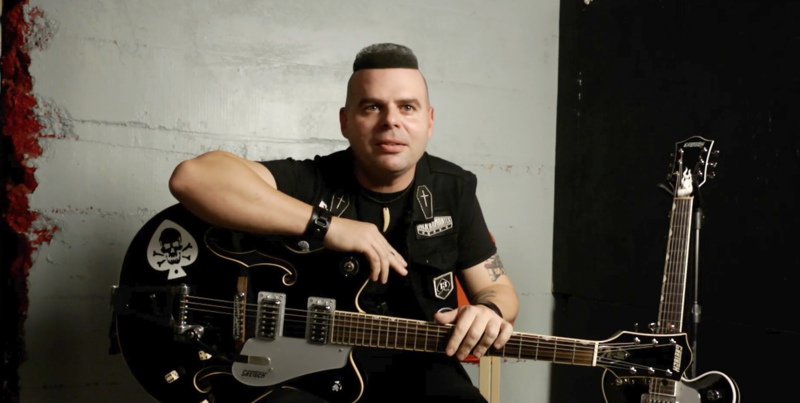 Guitarist Francisco Mesa celebrates his 10th anniversary with psychobilly band Nekromantix in 2019. But as a longtime fan of the genre and Nekromantix even before stepping in to join the band, Mesa wanted to stay authentic to the style and sound of the players who came before him, and that meant playing a Gretsch. “I always liked the band, and I wanted to play what all the other guitar players had been playing, and I didn’t really want to really alter anything to it,” says Mesa in an exclusive video interview. The psychobilly rockers expertly blend elements of punk and rockabilly with a horror-themed flair, a combination that Mesa loves being part of. For his nimble fret work, Mesa relies on his dice and skull-adorned G5422T Electromatic Hollow Body Double-Cut with Bigsby® and G6137TCB Professional Collection Black Panther. Aside from aesthetics, Mesa loves how comfortable the Electromatic is to play. Check out Mesa in the full video below, and click here for tour dates.